YESTERDAY, WEDNESDAY 18th JULY, was World Listening Day 2012. Organised by the World Listening Project in partnership with the Midwest Society for Acoustic Ecology, World Listening Day is a celebration of listening as it relates to the world around us. People from across the world participate in a variety of ways and I was keen to make my contribution. I gave a lot of thought to what my contribution might be. I decided that I wanted to share sounds that people would find interesting and enjoyable to listen to, sounds that reflected everyday life here in Paris, sounds that anyone could have easy access to but sounds that are perhaps so familiar they are often ignored. The Paris Métro seemed to have the answer. 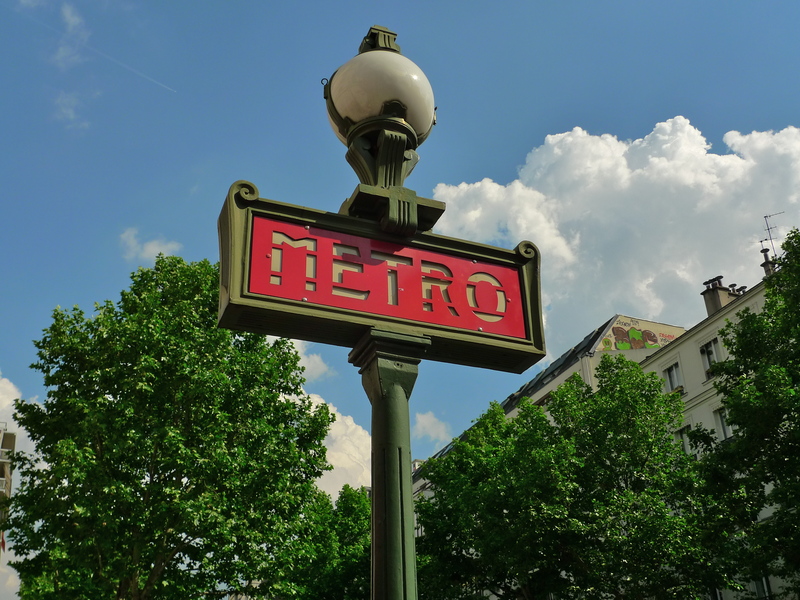 A staggering 1.5 billion journeys are made on the Paris Métro each year. 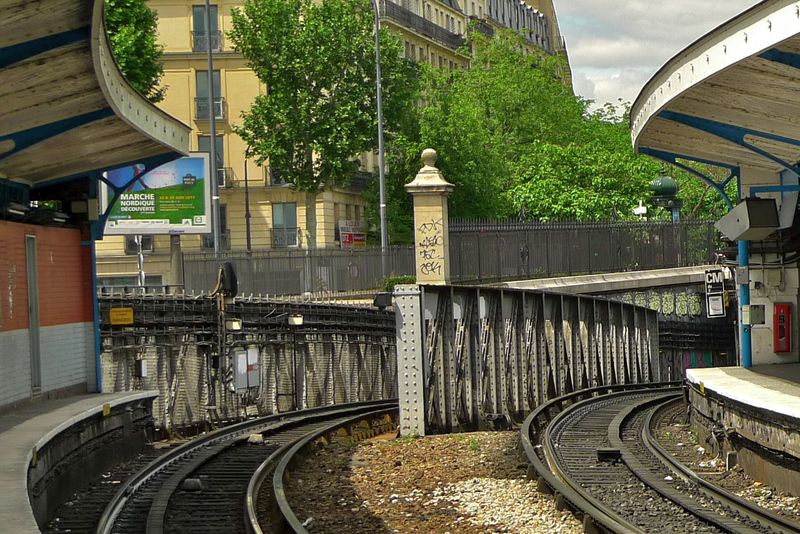 About 93 million of these are made on Line 5, the line that crosses the east of Paris from Place d’Italie to Bobigny. When I began to think about it two things occurred to me. 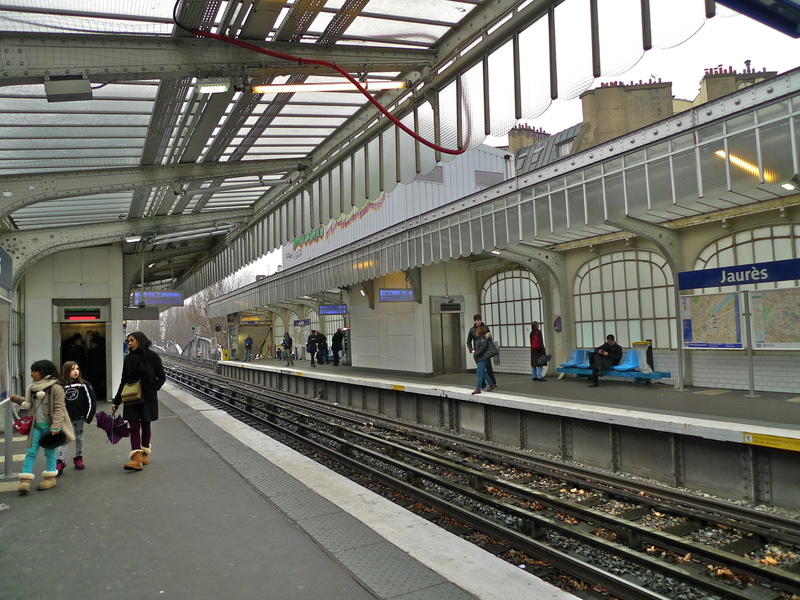 First, Line 5 is perhaps the most sonically interesting line on the Paris Métro network and second, I suspect that very few people actually travel the full length of the line from Place d’Italie to Bobigny – Pablo Picasso or back again. Line 5 is of particular interest to me because its sounds are changing. The current MF 67 trains have been in service for over forty years and they’re now gradually being replaced by the new MF 2000 rolling stock. 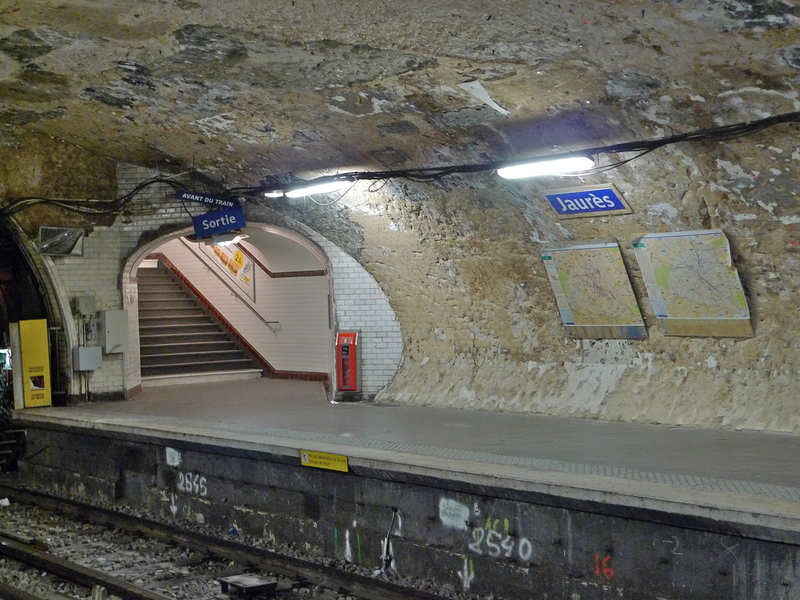 Before too long, the distinctive sounds of the MF 67’s, the sounds everyone associates with the Paris Métro, will disappear. 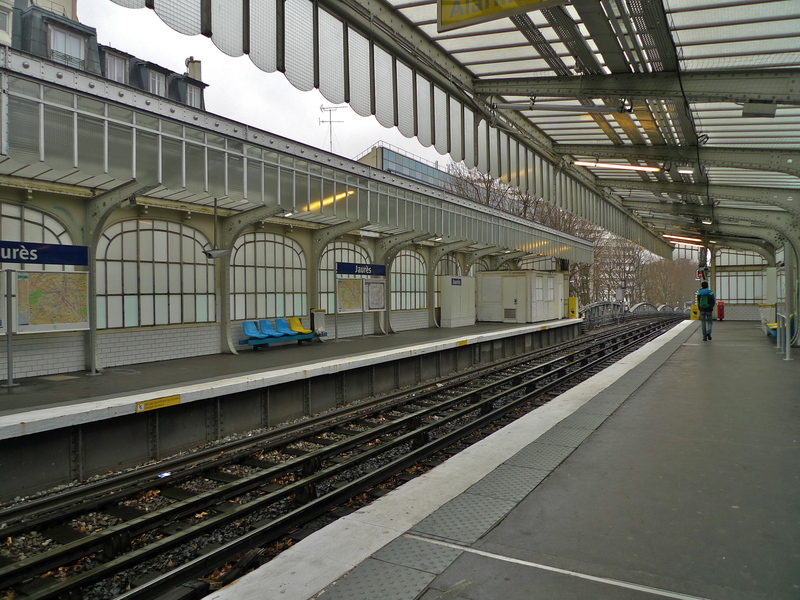 For some time now I have been collecting and preserving the sounds of the Paris Métro and particularly the sounds of Line 5, but I have never recorded the complete journey from one end of the line to the other. World Listening Day 2012 seemed like an ideal opportunity to do it. I began my journey at Place d’Italie. 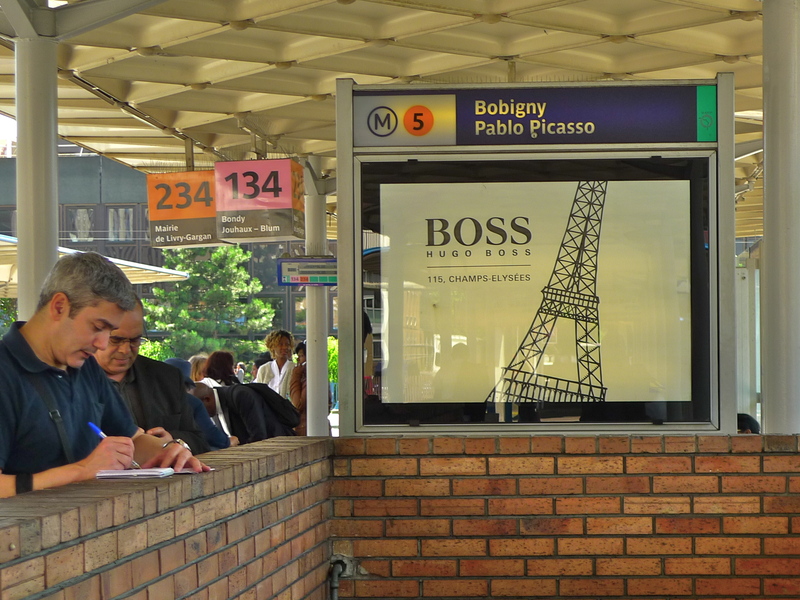 The journey from Place d’Italie to the other terminus at Bobigny – Pablo Picasso is 14.6 kilometres. It includes 22 stops and it takes about 35 minutes. 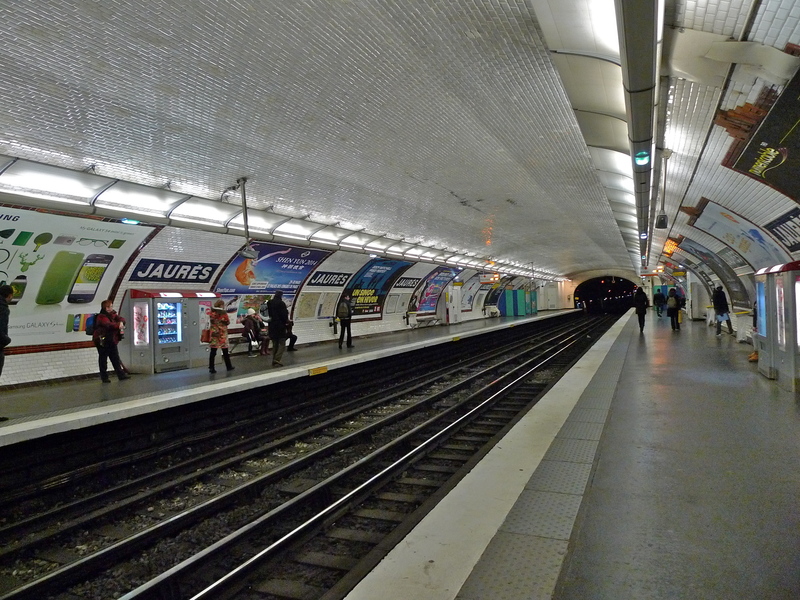 The station names on Line 5, like the station names on all the Métro lines, provide a lexicon of French history. 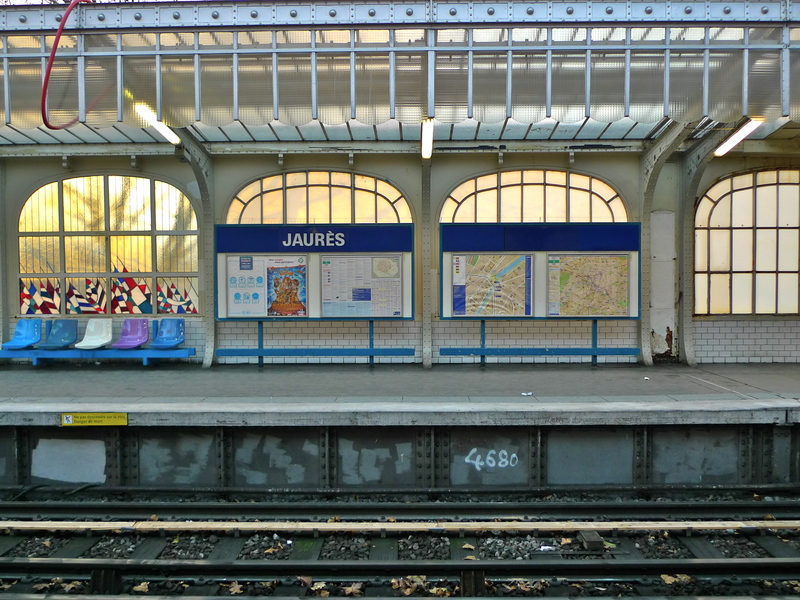 It’s easy to get carried away thinking about Napoleon and the Treaty of Campo Formio or the Battle of Austerlitz or Jacques Bonsergent, the first civilian Parisian to be executed by the Nazis during the Occupation all remembered in the station names on Line 5. But for me, it’s the sounds that are so fascinating. 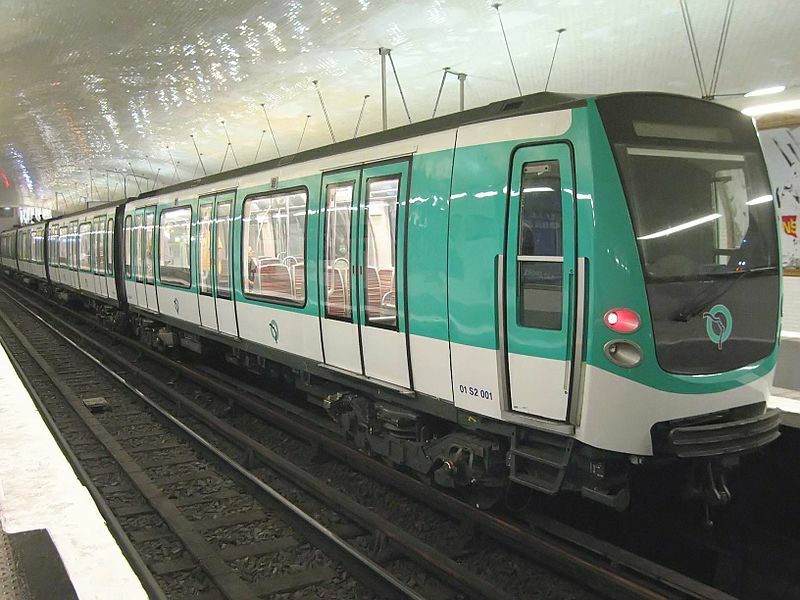 The ageing MF 67 rolling stock combined with the curves and gradients of Line 5 create a sonic experience unlike any other on the Paris Métro network. So, anyone familiar with Line 5 will be familiar with these sounds. People don’t usually catch Métro trains just to listen to the sounds … but I do, which is why this recording takes on an extra dimension. I record sounds like this partly as an historical record of the sounds of our time but also for the purely sonic qualities that sounds like this have. Listened to in a train on Line 5 these sounds simply come with the territory, but listened to away from the Métro system, divorced from their context, they become something completely different. 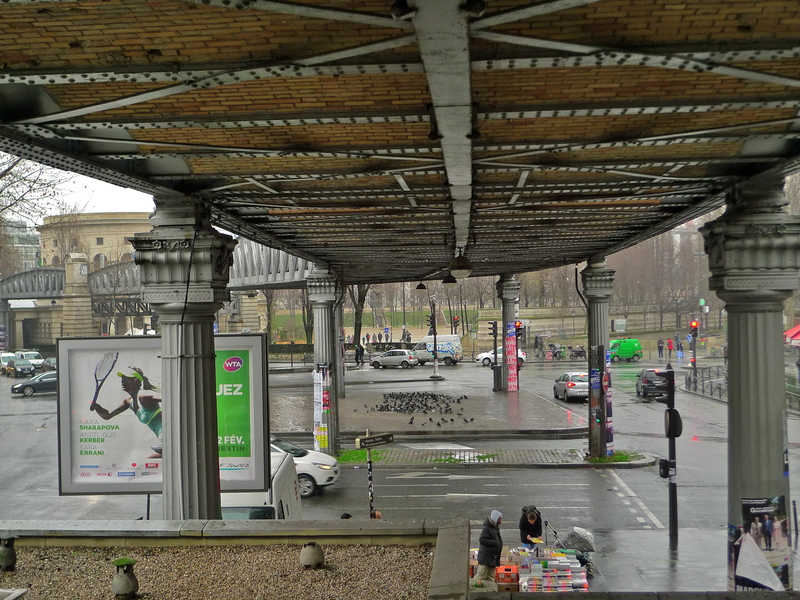 On one level, these completely unprocessed sounds are a colourful sonic record of a journey from Place d’Italie to Bobigny – Pablo Picasso along the full length of Line 5. On another level, they become a sort of self-generated work of sound art, a Matériel Fer tone poem. Listening as it relates to the world around us is what World Listening Day is all about. 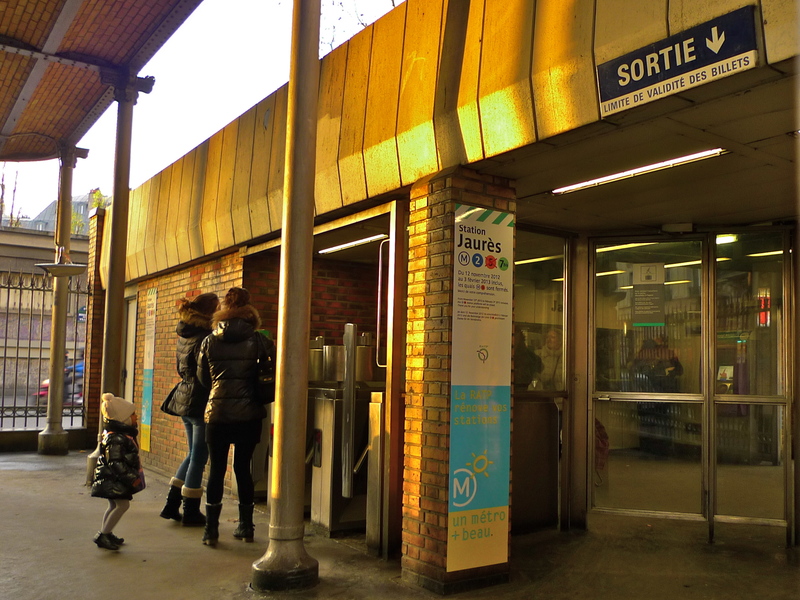 These sounds, the sounds of Line 5 of the Paris Métro, are my contribution to World Listening Day and I hope they will enrich others around the world as much as they enrich me. 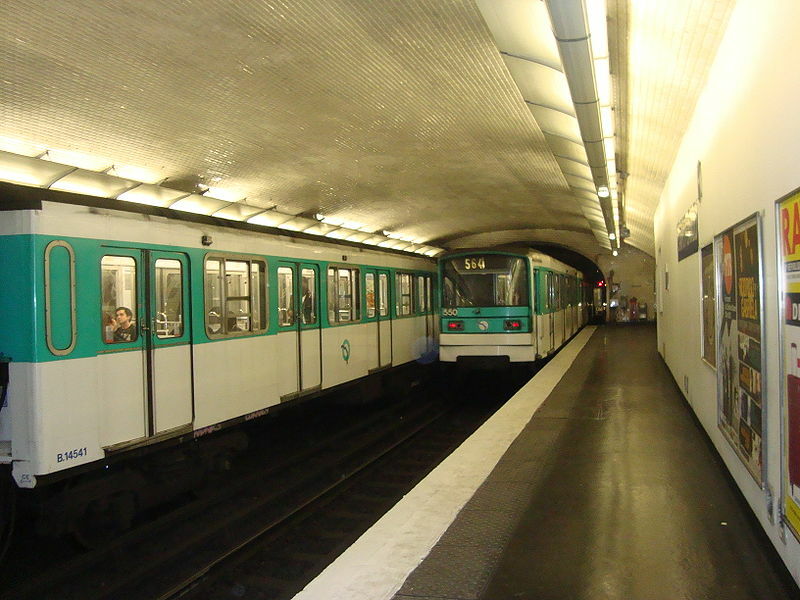 LINE 5 OF THE PARIS METRO must surely have the most distinctive sounds on the city’s entire Metro system. 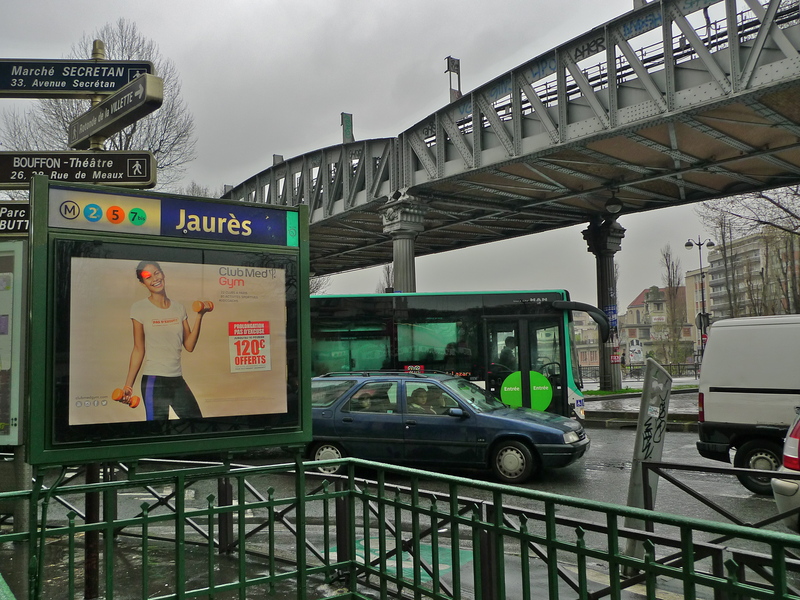 Earlier this year, I produced a blog piece about the Quai de la Rapée Metro station on Line 5 together with the sounds of the trains passing in to and out of the station. 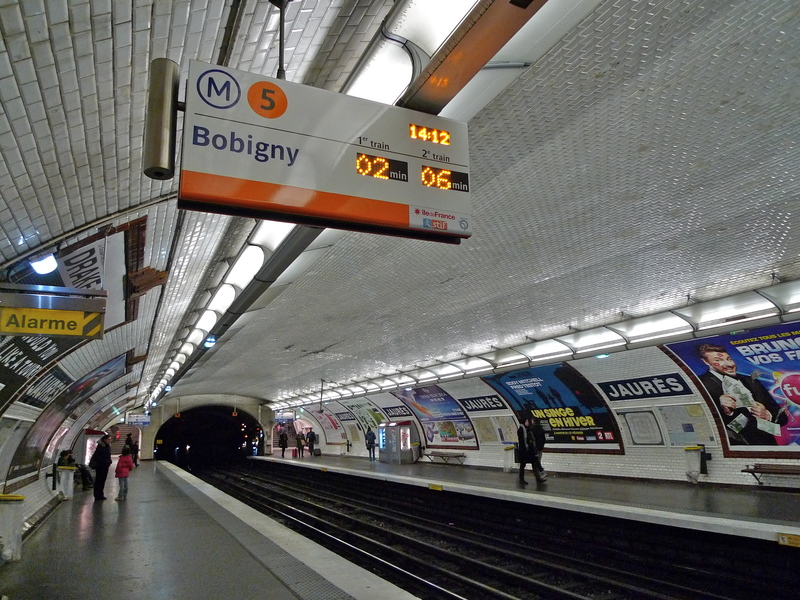 Line 5 was opened in 1906 and it crosses the east of Paris from Bobigny to Place d’Italie. 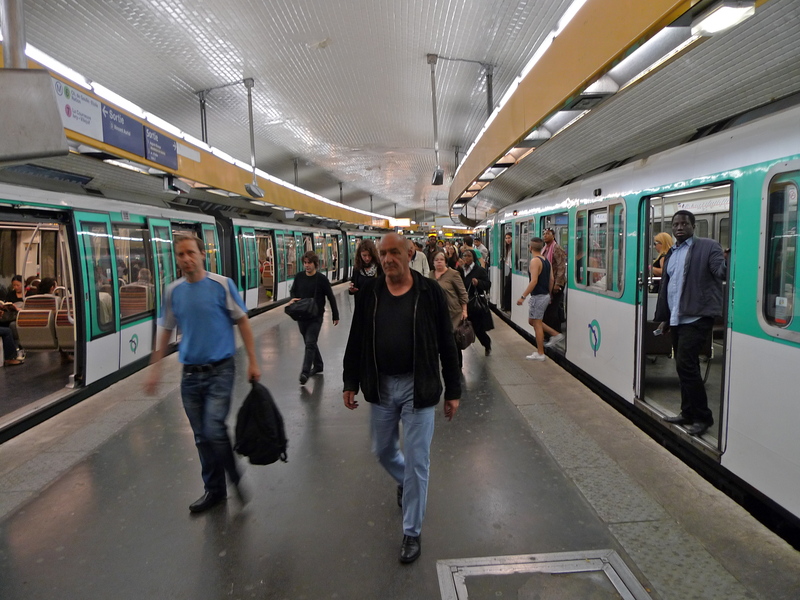 At 14.634 km, it’s the sixth longest and the eighth busiest line on the Paris Metro network. Yesterday, I had to travel along Line 5 from Gare d’Austerlitz to Place d’Italie and once again I was struck by the distinctive sounds on this line. I recorded the relatively short journey and I’ve included the end of it, the one stop from Campo Formio station to the terminus at Place d’Italie, for you to listen to. So what causes these distinctive sounds? I think it’s mainly to do with the fact that the trains on Line 5 are over forty years old – they were introduced in 1967/1968, so they are sounding their age. 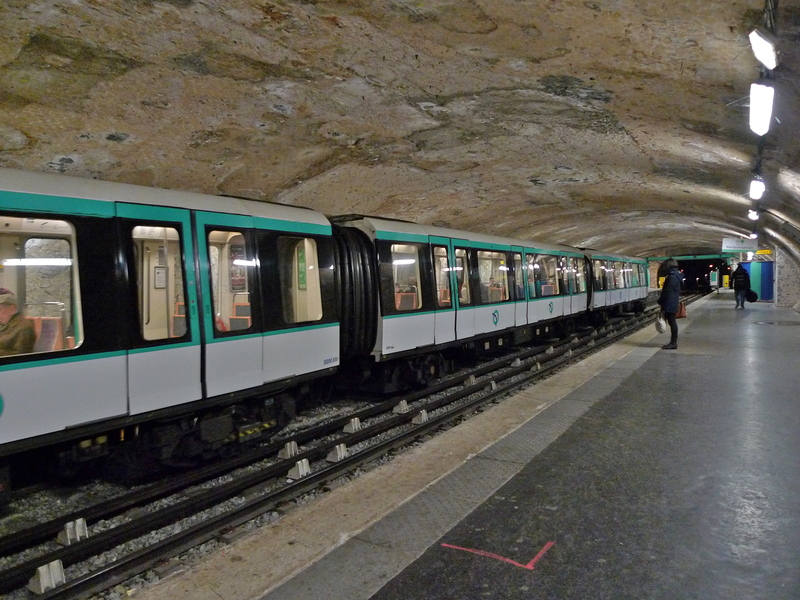 They are Type MF 67 rolling stock – and here, a quick lesson in Paris Metro train designation is called for. 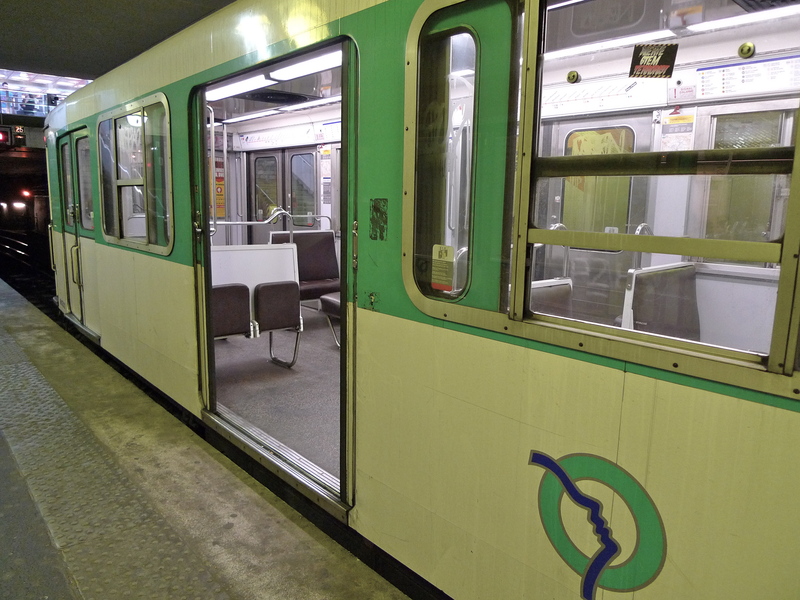 There are several types of trains on the Metro system but they fall into two main categories, those designated Type MF and those designated Type MP. The distinction is that the Type MF’s (Le materiel fer) have steel wheels whereas the Type MP’s (Le materiel sur pneus) have rubber tyres. Needless to say, the Type MF 67’s on Line 5 have steel wheels, which contributes to some of the distinctive sounds. It is with mixed feelings that I can report that rather swanky new trains are gradually being introduced on Line 5. The existing MF 67’s are being replaced with the new Type MF2000 trains. These are more efficient, quieter and the only trains on the network to have on-board air-conditioning. To date, sixteen MF 2000 trains have been introduced, leaving forty MF 67 trains remaining. So, the distinctive sounds of the Type MF 67 trains on Line 5 are set to disappear some time soon. Suddenly, recording and archiving these vanishing sounds for posterity seems to be really quite important. I OFTEN STAND on this spot and look down the Port d’Arsenal towards Bastille. I’ve been here in the summer sunshine, in the autumnal mists and in the depths of winter. But it’s not the view that I come for. 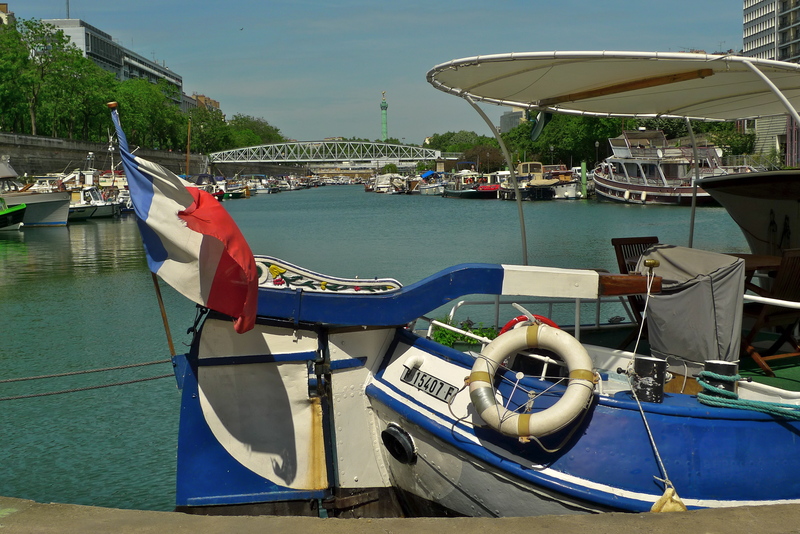 Just to the left from where this picture was taken is the lock that forms the entrance to the Port d’Arsenal – the link between the Port and la Seine. 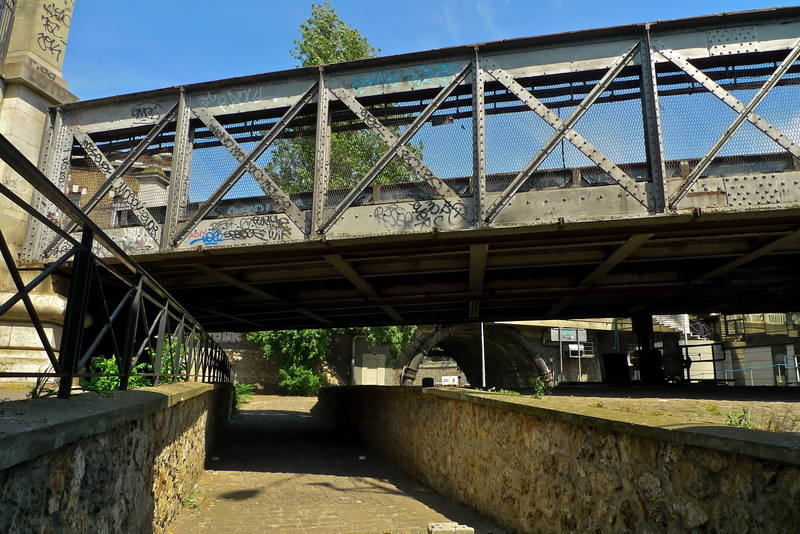 Over the lock is an iron bridge that carries the Metro Line 5 into the Metro station Quai de la Rapée. It’s the distinctive sounds of the Metro trains trundling over this bridge and into and out of this station that I enjoy. 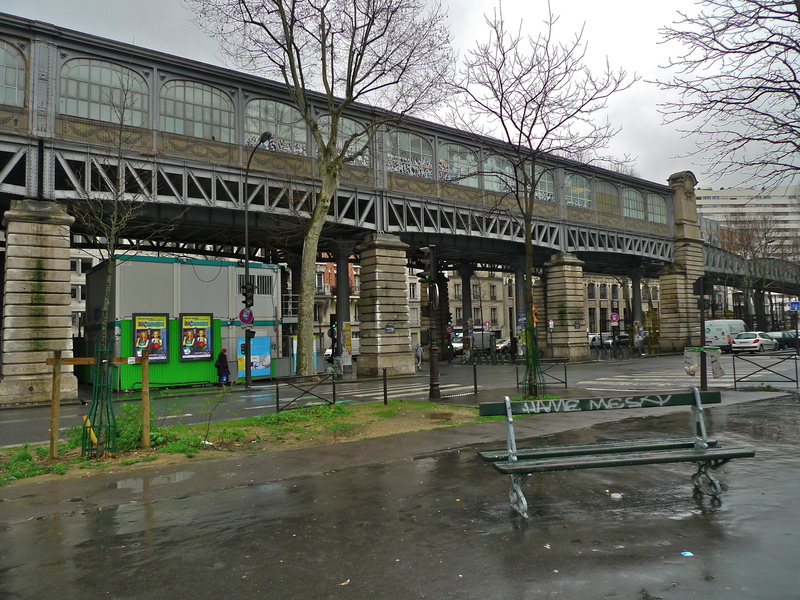 Named after Jean-Baptiste La Rapée, General Superintendant of the Armies of Louis XIV who owned a country house hereabouts, the station stands on the Quai de la Rapée, until the beginning of the 20th century a port specialising in handling logging and wood products. 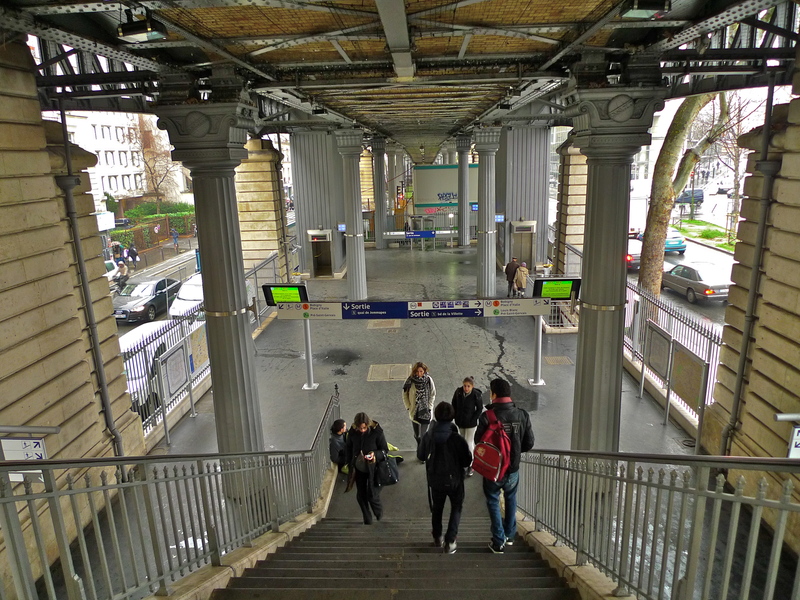 Of the 208.8 km of the Paris Metro system, 16.6 km are above ground, part of Fulgence Bienvenûe’s Metro ariéne. Consequently, most of the stations are either underground or well above ground. 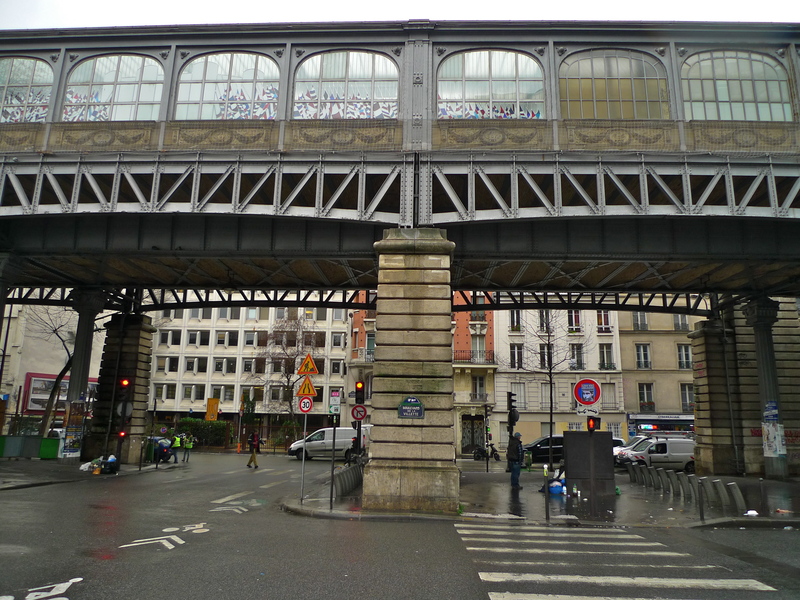 The station Quai de la Rapée is unusual in that it is at ground level. 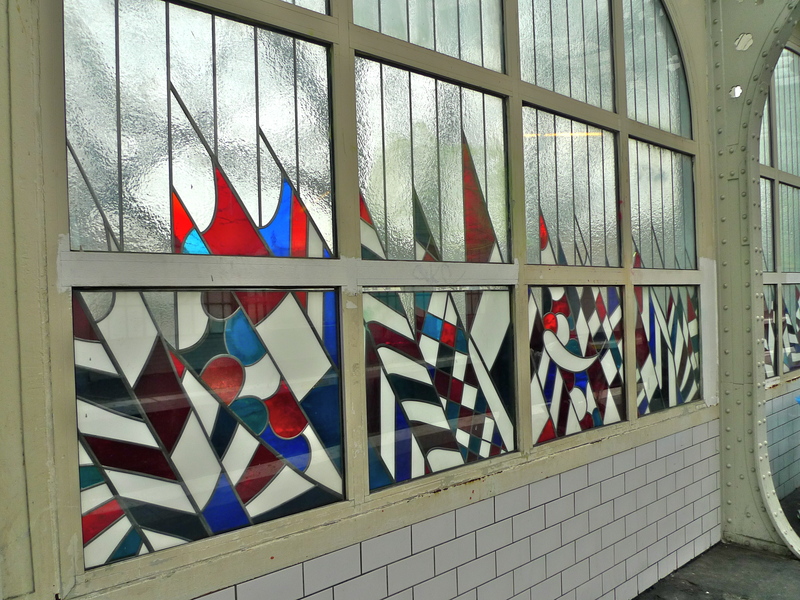 The sounds of the trains entering and leaving this station seem to take on a surreal quality more like the musique concrète of Pierre Schaeffer or Pierre Henry than the sounds of a Metro train. The texture of the sounds changes with the seasons of the year, becoming crisper and harsher in the winter and it’s the mystical quality of these constantly changing sounds that attract me back to this place. 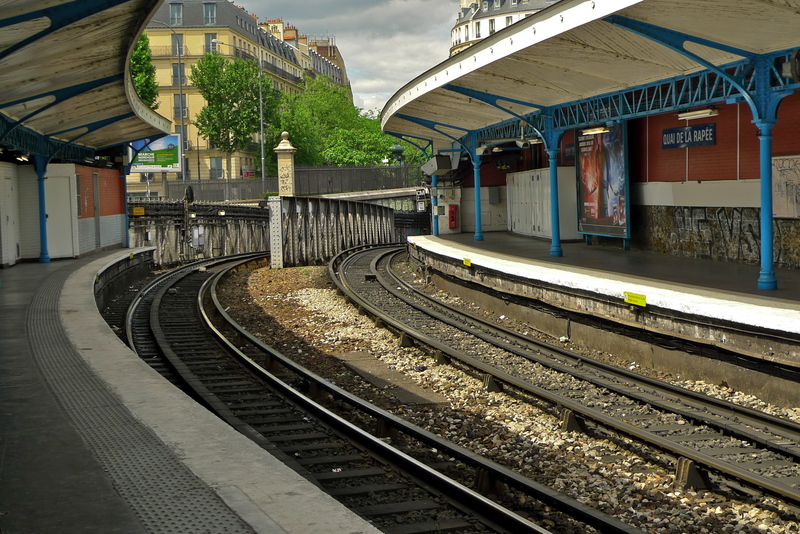 Before long, as the rolling stock on the Paris Metro is upgraded with sleeker, more efficient but sonically much less interesting trains, today’s sounds at the Quai de la Rapée will disappear. Those who live close to this part of Line 5 may breath a sigh of relief at that prospect but I can’t help feeling that we will have lost yet another of the sounds that define this city.